Run purely for the fun of it on the "most vibrant 5K course around." 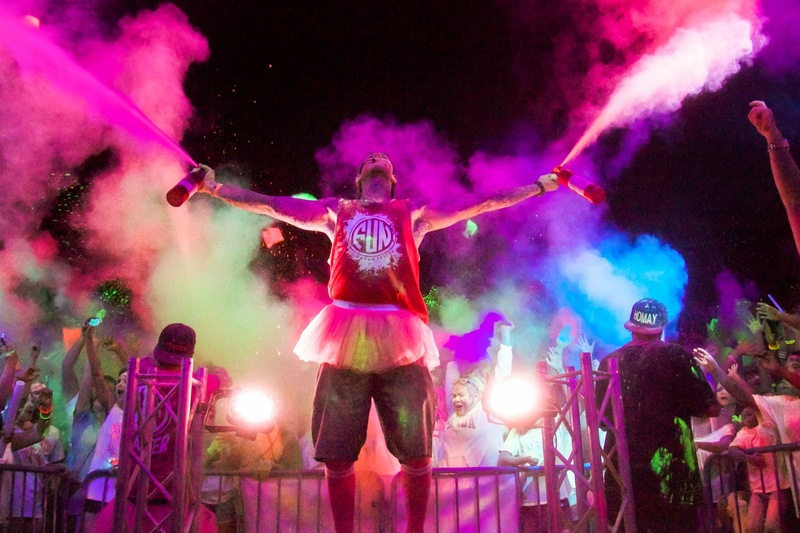 The Color Fun Fest 5K will be held in Austin on Sunday, January 11, 2015, with a day wave at 5 p.m. and a night wave (with blacklights!) at 7 p.m. The idea? Walk, run, skip, or whatever you'd like through color stations at each kilometer, with a finish-line finale that includes all the colors of the rainbow and a New Year's Celebration festival. The festival features live DJs, vendors, and food. The event is held rain or shine. Strollers are welcome, but dogs aren't allowed. Register kids 12 and under online by January 10 and the only charge that applies is a $5 service fee (per child) on the ticketing website. 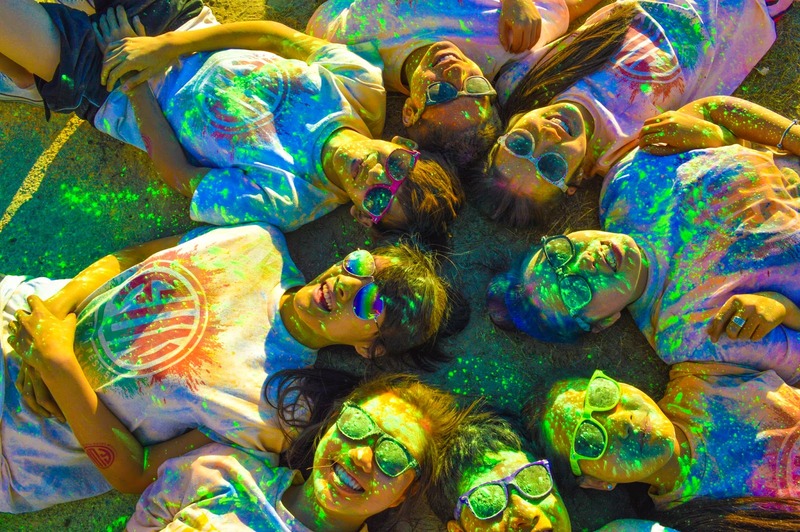 Color Fun Fest 5K supports Just Care More, a Dallas-based non-profit that aims to provide underprivileged youth with the opportunity to experience fitness-related activities. $75 event-day reg., $60 regular online reg. Register before Nov. 30 or enter the promotional code TRIFUN for $20 tickets. Cycling lore is a funny thing. Question an accepted principle, and often you will get a "This is just how things are done." Or more often, some vague explanation based on "feel." Intuition plays a large part in racing and is a good basis for some equipment choices—but when it comes to tires, you should set aside the stone tablet and think about the science. Josh Poertner of Silca shared a story on Slowtwitch about his experience introducing Zipp 808s to a pro men's team in the 2004 Tour. He describes the scene on the morning of the prologue when he arrived: The pro mechanics and riders were in the midst of a shouting match, unable to figure out why the 808 rims were "blown up like blow-fish" and jamming the forks of the new BMC Time Machine. Nothing was making sense until Poertner discovered the fact that the pro mechanics were inflating 20mm Continental track tires (with helium!) to 280 psi. Team leadership was insistent that their choices were correct; after much argument, Poertner was able to talk them down to "only" 220 psi, but the riders were plagued by punctures and crashes in the TTs and had a near-phobia of their TT bikes by the end of the Tour. "It was ultimately the impetus for us to start a real educational process with the mechanics and directors on not only what wheels for what days, but also tire choice and the importance of pressure," Poertner writes. Tires are the single most important part of your bike. Whether you're seeking comfort, grip, or pure speed, no single change will make as much of a difference as your tires. We all love to obsess over the latest frames and wheels, but it's the tires that dampen the bumps, hold the bike to the corners, and transmit the power from our legs to the road. While the latest frame or latest wheels might save you one minute or so per 40K thanks to their slippery aerodynamics, a tire with good rolling resistance might save you four or five. Similarly, a frame with a carefully engineered carbon fiber layup might dampen harsh road vibrations a small amount, but a well-chosen tire will have a hundred times more impact on comfort. It isn't the weight! It's the rolling resistance. As you bike along, your tires are constantly deforming as they come into contact with the road. Each inch you move forward on the road brings another inch of tire to the road, and the rubber has to squish a bit. This process is where energy is lost, and it can be a lot. This is also what makes some tires more comfortable than others. A tire whose material is more supple will waste less energy as it deforms and be more comfortable. These properties can be objectively measured by using a power meter and rollers. 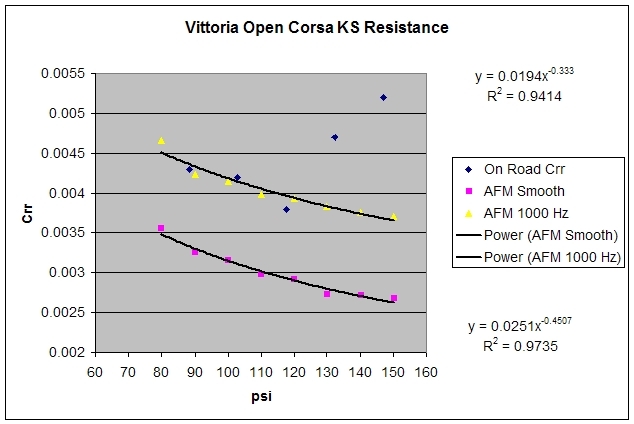 Handy tables of rolling resistance results are available online, such as this one from Tom Anhalt. Another consideration is aerodynamics. While not as important as rolling resistance, the shape and size of a tire can significantly affect the overall performance of your wheel. A wider tire will have less rolling resistance, all else equal, but also more aero drag. So, for instance, for a time trial you wouldn't want a wide tire on the front. Some tires, such as the Continental 4000S, Attack, and Force, also have bonus aero properties due to their textured sidewalls. The properties of rolling resistance that apply to tires also apply to tubes. Standard butyl tubes soak up significant amounts of energy as they deform along with the tire. Fast tubular tires use latex tubes instead of butyl, which can save as much as two to four watts. This is also why tubulars feel so plush. But you can get latex tubes for clinchers, too, and have just as fast and plush of a ride as any tubular. 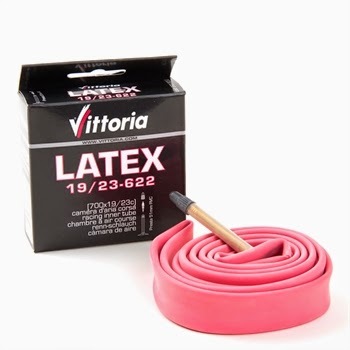 (ATC stocks Vittoria latex tubes, a good choice.) The only downside is that you must install latex tubes very carefully, as they're not as forgiving as butyl. Read our other posts "Tips to Avoid Flats" and "Living with Latex" to avoid common installation mistakes. Once installed properly, latex tubes are just as durable as a regular tube and work better with sealant. Proper pressures are the final piece of the speed and comfort puzzle. Many athletes crank their tire pressures up as high as they can, thinking this will reduce rolling resistance. At first glance, it seems to make sense: higher pressure means the tire deforms less, so less energy is wasted. The catch, however, is that the imperfections and rough texture of the pavement mean that at some point higher pressure actually causes more energy to be wasted to vibration than is saved from the tire. Optimum tire pressure will be a function of how heavy the rider is, wide the tire is, and bumpy the road is. This chart by Michelin gives you an easy starting point. Keep in mind, most people find that pressures that are too high feel faster, but that is misleading. Field tests have shown this not to be true. 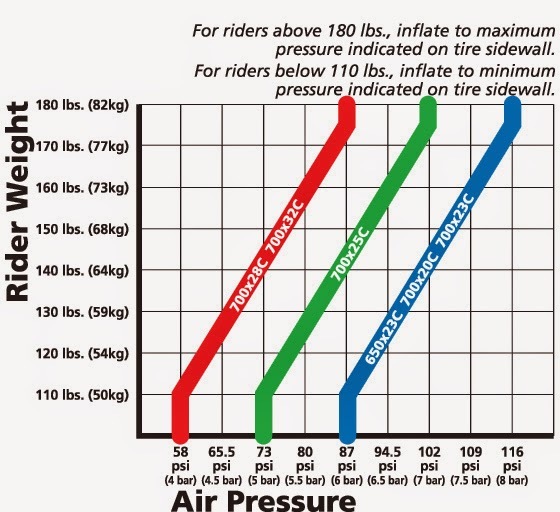 A fast tire at optimum pressure may feel "squishy" or "dead" to riders accustomed to using higher pressures. If that describes you, stick with it and just consider it a sign that you're soon going to notice more grip and more speed. Continental 4000S II Clincher - The ultimate jack of all trades. Great rolling resistance and great aerodynamics combined with good durability. You can train on this, race on this, time trial on this, anything at all. ATC just received a shipment of these, so they're in stock at both the Barton Springs and 360 locations. Continental Attack/Force Clincher - This is perhaps the best overall time trial setup. The narrow Attack is used on the front for aerodynamics, while the wider Force is used in the rear, where aerodynamics don't matter as much. These tires still have puncture protection, though not quite as much as the 4000S. This is the tire ATC Racing used to clinch the Texas State Time Trial record. Continental SuperSonic Clincher - For those who need those last few seconds no matter the risk, the Continental SuperSonic is for you. No puncture protection layer is included at all, but rolling resistance is among the best in the world. Available in 20 and 23mm widths, this tire can make the ultimate time trial setup. While the SuperSonic Clinchers aren't suitable for regular training, professional Ironman triathletes like Thomas Gerlach do use them regularly in racing with success. If you find yourself just a few seconds from your goals and road conditions are good, give this option a look. Fortezza Senso (Tubular and Clincher) - Available in Xtreme Weather, All Weather, and Superlight varieties (in increasing order of speed), these are one of ATC's most popular tires and can make a good dual purpose race/training tire and a great winter/rain tire. Michelin Pro4 Clincher - Michelin offers many varieties of the Pro4, most of which have good but not great rolling resistance, falling a few watts short of the 4000S. They do make for a very nice training tire, though, with decent flat protection, comfort, and speed. They also make a "Grip" version intended specifically for wet weather grip. Vittoria EVO Corsa (Tubular and Clincher) - These tires come in a few varieties as well, the CX and CS, and all are very fast. They rank among the very best in rolling resistance, just shy of the SuperSonic but with a little more flat protection. Plenty of people train on them, but they are somewhat delicate and will need to be replaced fairly often. They make a great race tire but don't have the magic aero properties of some of the Continentals, so you might avoid using them on front wheels for time trial purposes. They also tend not to fare well in wet weather chip seal areas. If you have a rainy road race, you might switch to something else. 2015 Zipp Tangente (Tubular and Clincher)- Zipp has a new line of tires, and they offer some excellent choices, in various widths and levels of flat protection. Look for them to be offered in store very soon. 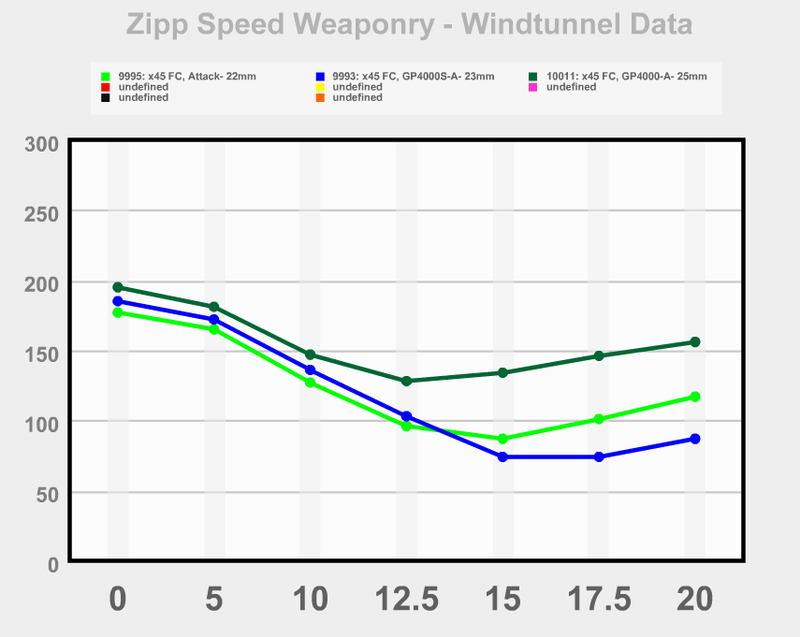 They are optimized both for aerodynamics and rolling resistance, as Zipp was squarely targeting tires like the 4000S when they designed them. Continental Gatorskin - While this tire is so slow it will make a Zipp race wheel slower than your training wheel, it does offer incredible flat protection. If you are looking for a training tire that offers flat protection and aren't concerned about comfort or speed, this is a great tire that will last a long time. They also stand up well to trainer duty, so you can use them on the trainer and on the road. Another bonus, if your significant other is faster than you like mine is, you can have her use Gatorskins so that you can ride together! Ever traveled to a place that had amazing cycling routes but didn’t bring a bike with you? Day 1, a wistful stare at every bike and lycra-clad rider you see. Day 2, the deep need, like a nervous tick, to explain to the world that you too ride bikes, that you are “serious” about cycling. Day 3, true desperation sets in. 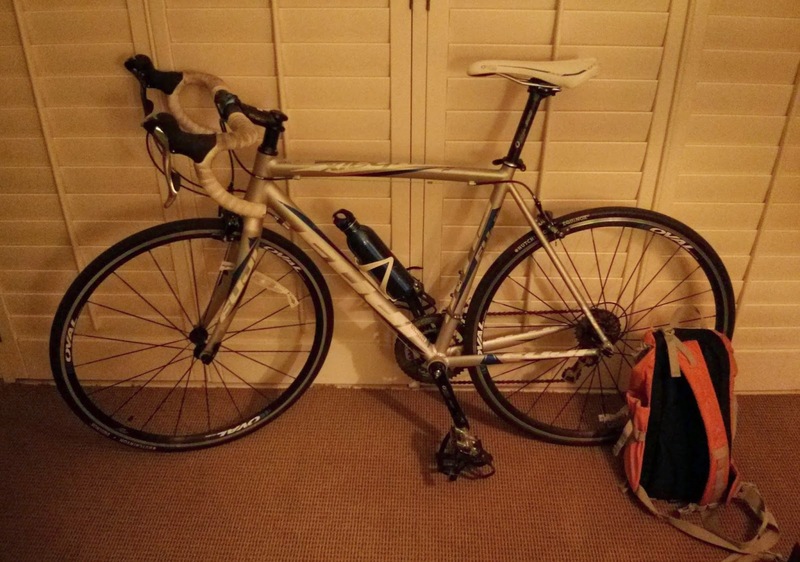 Can you commandeer a road bike by force, by persuasion? In mid-October I was in Monterey, California, on assignment for an article for a lifestyle magazine. The press trip had a busy itinerary, much of it centered around food and wine. While I was a vegetarian in a region best known for its fresh seafood, Monterey County is also called the “salad bowl of the world” for the bounty produced by its inland agricultural areas. Area restaurants emphasized sustainable and locally sourced ingredients, and I was eating some of the best dishes I’d had in a long time: heirloom tomatoes, fresh artichokes, inventive salads, creamy risottos, desserts that ranged from a simple flan or plain chocolate to a seemingly bottomless trifle filled with whipped cream and a dozen delicious mystery ingredients. I’d sampled many, many glasses of the region’s legendary pinots, chardonnays, and rosés. I’d seen otters, seals, and sea lions by kayak in the bay and by pontoon boat in Elkhorn Slough, and at the Monterey Bay Aquarium I’d looked on in awe at giant kelp forests, shimmering funnels of anchovies, and flower-like gardens of suspended jellyfish. I’d sat around a bonfire on the white sands of Carmel Beach watching the sun go down, wine glass in hand. The weather was perfect, nothing but clear, warm days and cool nights. I was having a great time, but I kept hearing about what I was missing on the bike. Monterey County is the location of the Sea Otter Classic, a popular and long-standing stage race in April that hosts mountain, cyclocross, and road events, as well as a gran fondo. 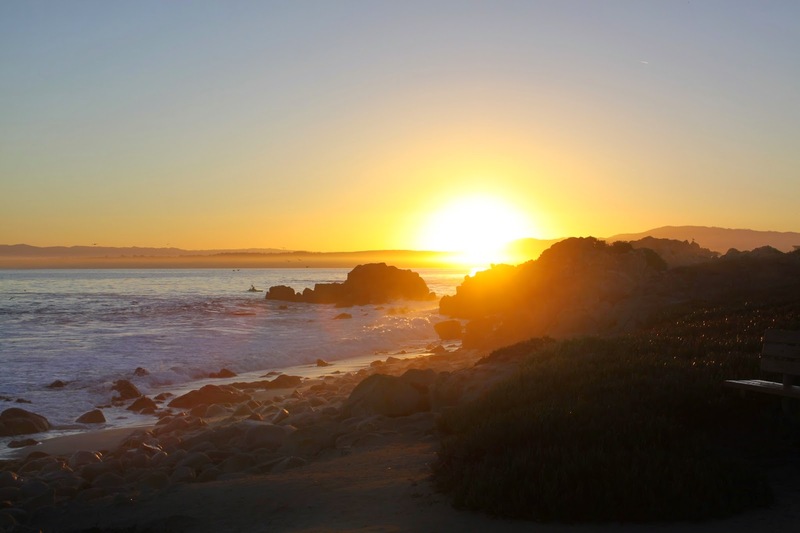 Also, this year Stage 4 of the pro men’s AMGEN Tour of California, said to be the most scenic of the seven stages, started from the city of Monterey and traveled along the dramatic seaside cliffs of Big Sur to finish in Cambria. I’d neglected to do my homework prior to the trip—while I was familiar with both events, I hadn’t connected them with where I was going. Here I was staying in the heart of prime cycling real estate without so much as a pair of bike shorts. Lesson 1 for a cyclist traveling on a non-cycling trip: plan ahead. Two days of the trip, my group wasn’t scheduled to leave the hotel until after 10 a.m. Long before I stepped on the plane, I should have filled the gaps in the itinerary with “BIKE” in big block letters. Lesson 2: if you know you’re going to be obsessive about cycling, go ahead and pack pedals, shoes, jersey, and bibs even if you’re not sure you’ll have an opportunity to ride. If there’s space, I’d also add lights, a flat kit, and an Allen wrench. 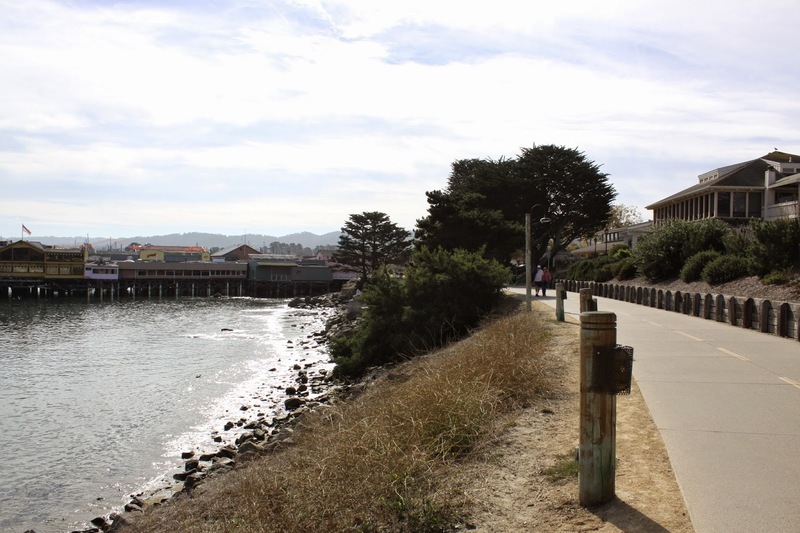 I’d been jogging each day on the Monterey Bay Coastal Recreation Trail, a paved pedestrian and cycling path that winds along the coast for 18 miles from Castroville to Pacific Grove. Most days I trotted northwest from my hotel near Fisherman’s Wharf toward Pacific Grove, completing an out-and-back of four to six miles. My off-season run training has been spotty at best, and these were some of my longest and most successful runs to date. The cool ocean breeze and the scenery were big motivators. Waves crashed, boats bobbed in the wharf or motored far out in the bay, other tourists and locals walked, ran, and biked along the path, scuba divers strapped on their gear, sea lions barked from their perches on jetties and docks. Just off the beach, harbor seals balanced their sausage-like bodies on half-submerged rocks and looked at me with their big, wet eyes in a casually interested way, as if to say, “You’re not from around here, are you?” The trail also passes through Cannery Row, a historical sardine-packing district turned restaurant and tourist mecca. Usually I turned around somewhere near Lover’s Point, a picturesque jumble of rocks that juts out to sea in Pacific Grove. On my next-to-last morning in Monterey, a Saturday, I saw a group ride leave from the road alongside my hotel at the same time I started my run. Solo cyclists passed me on the trail. The weather, characteristic of Monterey’s Indian summer, was achingly perfect, and what I wanted most in the world at that particular moment was to donate my running shoes to the fish and continue on two wheels, seeing more of the Recreation Trail and beyond. With a few phone calls back at the hotel, I figured out I’d have just enough time to ride the next day if I picked up a rental bike from Adventures by the Sea the day before and kept it in my room. The biggest setback was that our group wouldn’t be back from the day’s activities until late that night, long after the bike shop had closed. I explained all this to the concierge at Portola Hotel & Spa as the van of journalists idled outside waiting for me. I hadn't realized the bike shop had a location directly next to the hotel, which probably made my request seem that much stranger. The concierge took it all in stride, though, and late that night when we returned to the hotel the bike and helmet I had rented were waiting for me in a lobby closet. I set my alarm and got up early the next morning as excited to roll around for a few hours as I would have been to race the Sea Otter Classic itself. I’m usually very exact about my equipment and fit, and now I was about to embark on a Fuji Gran Fondo with toe cages and half my foot overlapping the front wheel. I was wearing a T-shirt and yoga pants. The flat kit I’d been given was the size of a small suitcase, designed to strap onto the handlebars with velcro, and contained a mountain bike tube. But I was thrilled. I put the flat kit and my heavy DSLR in a backpack and set out as soon as the sky started to lighten. The whole idea was so last-minute, and the coastal scenery and pre-dawn sounds of the ocean so exotic compared to my typical ride, that I was filled with a spirit of adventure. This is what travel is about: making do with what you have to explore new places, stepping out of the ordinary, regressing from bike racer to a state so Fredly that you no longer even recognize yourself. I embraced my role as tourist and made half a dozen stops in the first few miles to take photos of the sun rising above Monterey’s mist-covered hills and rocky shoreline. Where the trail ended at Lover’s Point, I paused for a moment with a scattered group of eerily quiet onlookers, many with cameras and tripods, who must have been waiting for the exact moment the sun broke over the horizon. From that point I was in new territory. I took a quiet road through Pacific Grove to Sunset Drive and along the lovely, wind-swept Asilomar State Beach, the most natural and undeveloped beach I’d seen in my visit to Monterey County thus far. I continued from there to 17 Mile Drive, still marveling at the ocean views. I was virtually the only one on the roads, and there was a dedicated bike lane for nearly all of it; the route would be very comfortable for families or inexperienced riders. There were so many places to stop along the way that I started watching the clock and limiting myself, wanting to get a workout in along with my sightseeing. The last time I stopped to take a photo of the water, a runner with an Ironman shirt offered to snap a picture for me. I almost declined, not sure I wanted photo evidence in the rental ensemble, but how can you refuse a smiling Hungarian named Zoltan? A true explorer never consults a map once the exploration is in progress. I missed some sightseeing when I covertly followed a non-Fredly rider who turned left onto Spyglass Hill Road, but I did find the first elevation of the day. The hills were nice and steep, like some of my favorites in Austin, but many were longer. Again, there was very little traffic. Where I was riding seemed to be part golf courses, part residential neighborhoods. 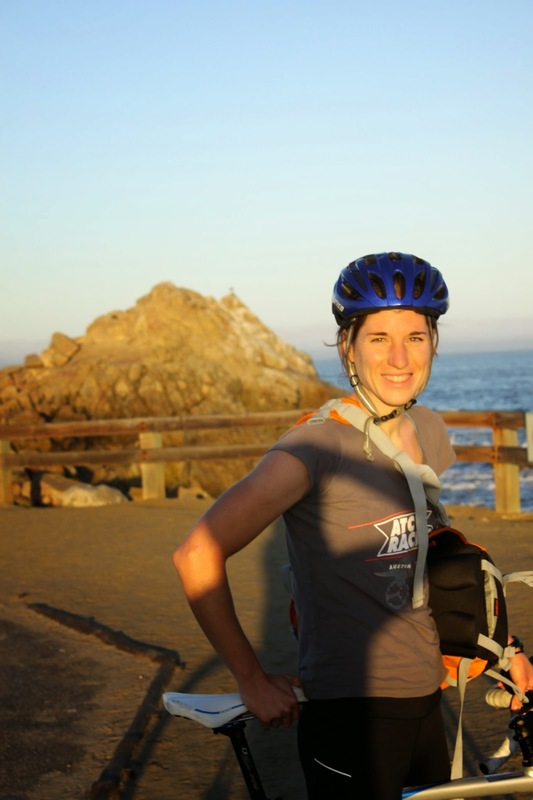 When I lost the riders I’d been shadowing off and on—or rather, they lost me—I was no longer sure where I was and how I’d connect back to 17 Mile Drive. Although there was frequent signage, I found it confusing, often not certain if I was twisting my way back in the direction of Pacific Grove or farther on to Carmel. Now the clock was winding down. When I eventually found the coastal road again somewhere around Bird Rock, I booked it. It was my first time trial in toe cages and a T-shirt. Part of the rush was that I thought I’d have to turn in the bike on Cannery Row and jog about a mile back to the hotel, but when I got there an employee explained that Adventures by the Sea has multiple locations on the Recreation Trail. I dropped it off at the the shop location downstairs from the hotel, with ample time to spare for a shower and a quick breakfast before another active day with the group exploring Point Lobos State Natural Reserve and Big Sur. I’d gotten about 2.5 hours of ride time. One day I'll return to Monterey. I want to take my son to the aquarium, my husband to the fish tacos. Next time I’d also like to try some of the routes in Fort Ord National Monument, possibly by mountain bike, and a few area group rides. But in truth, for this trip I was probably happier with the impromptu, casual ride than I would have been if I’d been prepared and fully equipped with my own gear. The Monterey County Convention and Visitors Bureau’s slogan is “Grab life by the moments,” and as corny as it sounds, I think the bike ride was mine. Sometimes as a “serious” cyclist your training starts to feel more like a job than a hobby. Riding like this, you recapture something of the feeling that made you start in the first place, just a kid with tasseled handlebars and training wheels playing in the sand.